The bigger issue the EC must tackle is the use of religion in campaigns. It’s also a fact that the EC is powerless to do much about it. Considering all leading political figures use religion for leveraging their votebanks, only a broader agreement among parties to forbear from doing so might help. The Election Commission has been bombarded by a series of issues as the great Indian marathon election kicked off last week. The very nature of a neutral umpire’s job leaves it open to criticism from both sides on its impartiality. 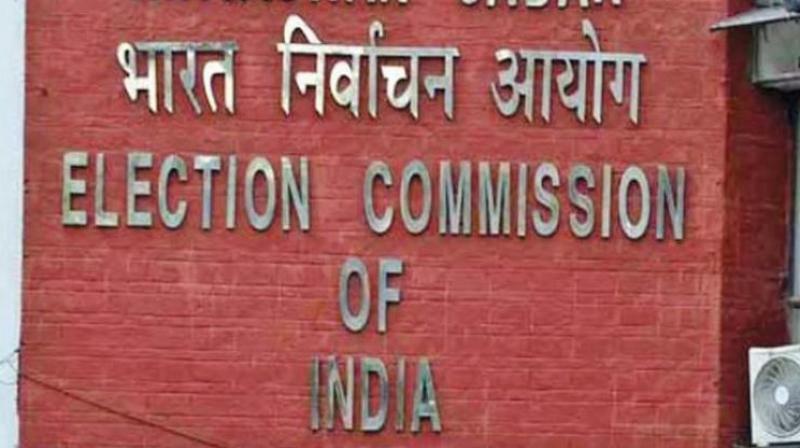 It was in hedging too long, rather than taking complaints head-on, that the EC exposed itself to shrill calls of being biased in favour of the ruling side. It has retrieved some lost ground in addressing the issue of biopics and banning them in the poll season, in what seems a reasonable decision. Of course, the ruling on the Narendra Modi biopic is being challenged in the Supreme Court, which will hear it Monday as freedom of speech and expression is involved. Prima facie, it would seem hagiographies on political leaders are best not aired in poll season, while they would be welcome at all other times. The bigger issue the EC must tackle is the use of religion in campaigns. For instance, Union minister Maneka Gandhi’s “appeal” to Muslims to vote for her as they will need her once the elections are over. Many politicians like Mayawati and Akhilesh Yadav are also guilty of pinpointing religious minorities and asking them to vote for their party/alliance. But there is a fundamental difference between seeking votes on communal and religious lines, and demanding it by issuing threats, as Maneka and UP chief minister Yogi Adityanth have done. By the letter of the model code, parties are barred from indulging in “any activity that may aggravate existing differences or create mutual hatred or cause tension between different castes and communities, religious or linguistic”. We know for a fact that this rule is observed more in the breach. It’s also a fact that the EC is powerless to do much about it. Considering all leading political figures use religion for leveraging their votebanks, only a broader agreement among parties to forbear from doing so might help. But then religious differences even among members of one religion, as with women’s entry into Sabarimala, about which the Prime Minister himself has aired views in poll speeches, are highlighted and exploited. The point is while India has seen religious votebanks being exploited, those trysting with danger in polarising people along religious lines pose a far greater threat. The other big issue is the politicisation of the Pulwama attack and Balakot airstrikes and the tendency to drag the armed forces into the political arena as Yogi Adityanath did in referring to the Indian Army as “Modi’s Sena.” In the final analysis, the EC may act in serving notices and seeking explanations, but politicians will continue to fulminate even as they skirt the thin red line in appealing for votes. This appears to be more of a national failure than simply that of the Election Commission.